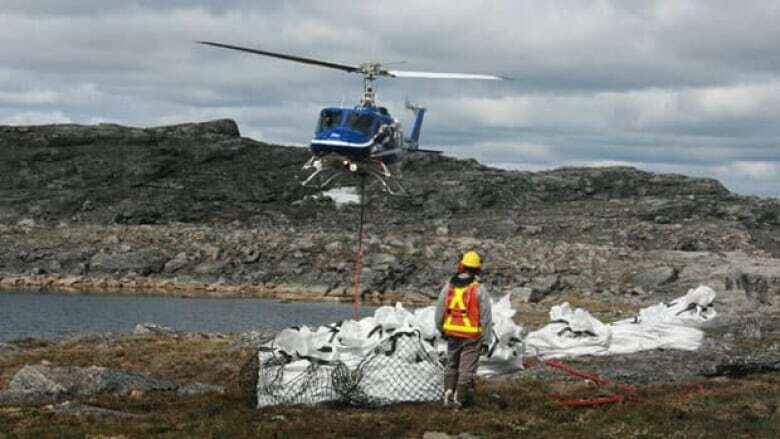 A diamond mining project in Nunavut may have just gotten a whole lot bigger, as Peregrine Diamonds Ltd. says a kimberlite deposit at its Chidliak site is twice as deep as previously estimated. A diamond mining project in Nunavut may have just gotten a whole lot bigger, as Peregrine Diamonds Ltd. says a kimberlite deposit at its Chidliak site is twice as deep as it previously estimated. Peregrine has been exploring the Chidliak site, which sits 120 kilometres northeast of Iqaluit, since 2005. In a release issued Tuesday, the junior mining company announced that one of their most promising kimberlite pipes — named CH 6 — extends a total of 540 metres below the ground, 280 metres deeper than initially announced. "We've got the potential to double the number of diamonds contained," said Tom Peregoodoff, the president of Peregrine Diamonds. "If they can be extracted economically, we potentially have added significantly to both the mine life and eventual economic outcome of the project." The company hopes to open the second diamond mine in the history of Nunavut, following the Jericho Diamond mine, which was open from 2006 to 2008. However, slumping global diamond prices have led to an uncertain future. The company has estimated they will need to raise $450 million to build the mine. "They do change with time," said Tom Hoefer, the executive director of the NWT/Nunavut Chamber of Mines, on global diamond prices. "We'll see in the next few years, when they try to do their financing." Peregoodoff says that the company is in the midst of crunching data to see just how lucrative the pipe can be. Over the next few years, Peregrine hopes to bring in a plant to the site to help sort diamonds from rock samples, and finance a feasibility study.